This workshop will explore sustainable strategies to workplace mental health and wellbeing promotion. Sustainable strategies are those that are integrated in a health promoting company culture and structures and not solely dependent on the initiative of a few highly motivated individuals. Dr. Birgit Greiner is a Senior Lecturer at the School of Public Health, University College Cork. She has been the Director of the MSc in Occupational Health since 2005, an integrated course in workplace health, safety and wellbeing. Her particular focus in teaching and research has been on the impact of psychosocial work hazards and job stress on mental health, stress-related physical health, wellbeing and safety. PSYCHED is an initiative of Cork Healthy Cities & Counties. 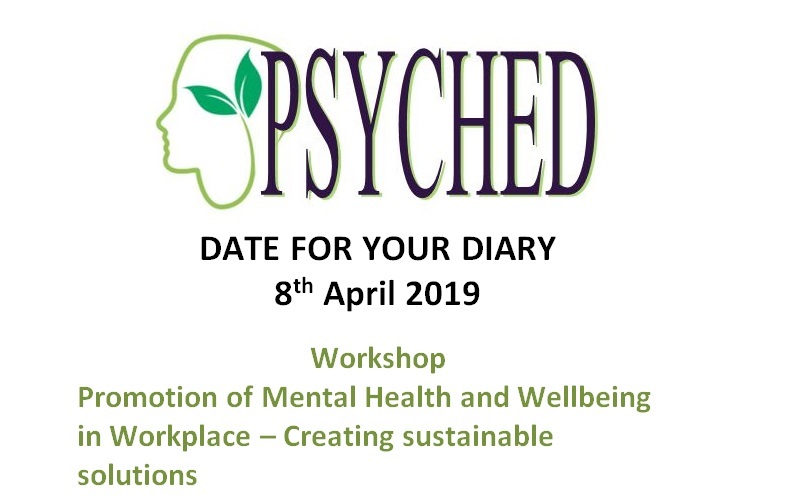 This collaboration comprises of the Health Services Executive (Health Promotion and Improvement, Mental Health Psychology Service in Cork) Cork City Council, Cork County Council University College Cork and community workplace partners. 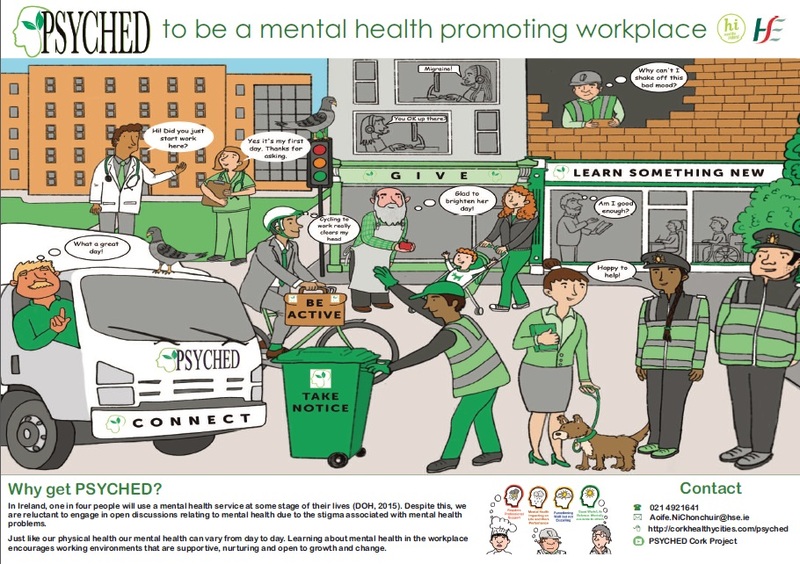 We want workplaces to get PSYCHED about mental health and wellbeing! We invite workplaces to get involved by sharing good practice, ideas and workplace initiatives that support the mental wellbeing of their staff.